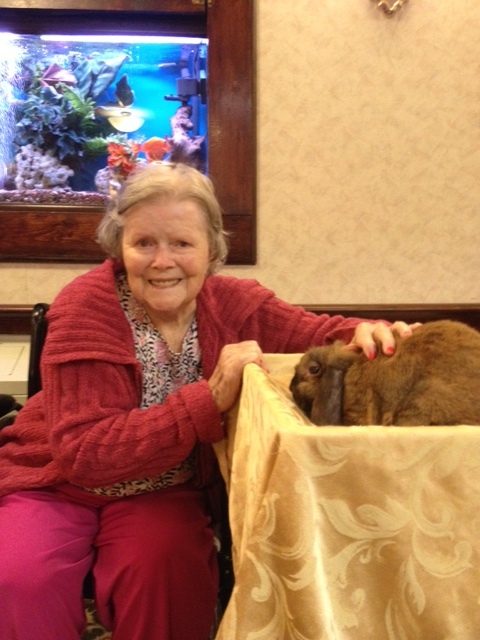 Shoshana shared this most recent picture of our very own resident, Mrs. Katherine Rhinesmith, sharing a moment with our mascot – “honey bunny”! At Regency Gardens Nursing and Rehab in Wayne, N.J., our residents are ALWAYS smiling! This entry was posted in Regency Resident Spotlight and tagged regency gardens in wayne, regency gardens nursing and rehab. Bookmark the permalink.